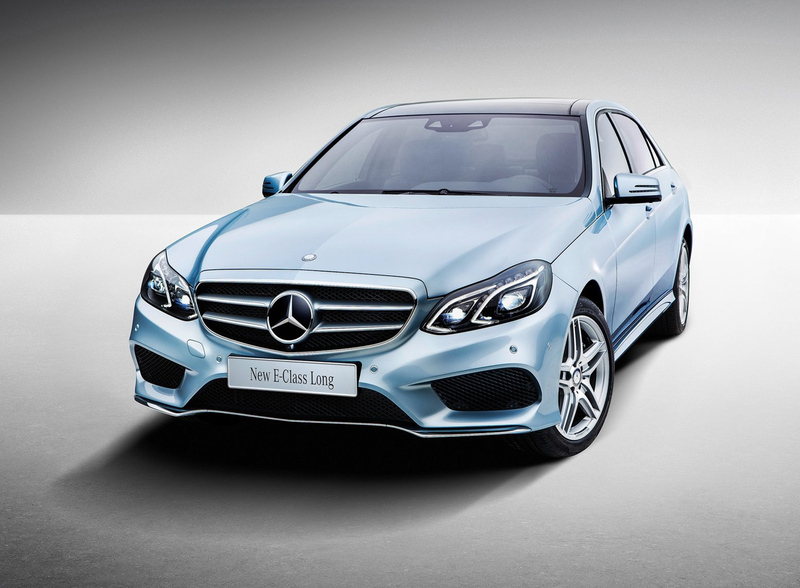 Home » Cars » 2014 Mercedes-Benz E-Class L: China Gets a Stretched E-Class. 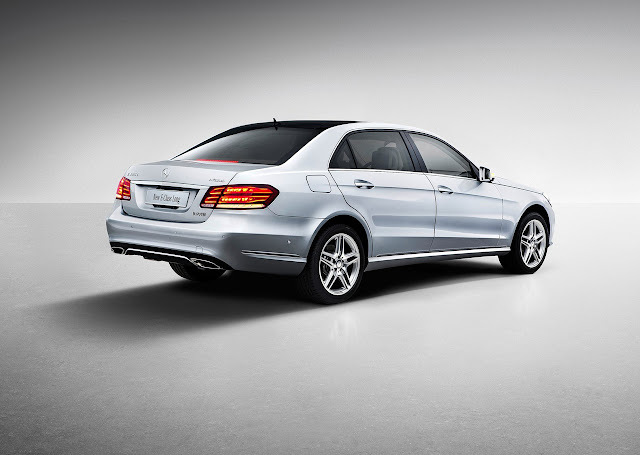 2014 Mercedes-Benz E-Class L: China Gets a Stretched E-Class. Long-wheelbase sedans are all the rage in China. A while back, to capitalize on the trend, Audi introduced the A6 L, BMW did the same with a stretched 5 Series. Now, Mercedes-Benz is hoping to take a chunk of the Chinese stretched, mid-level, luxury sedan market with the 2014 E-Class L unveiled in Shanghai at Auto China 2013. The E-Class L is five-and-a-half inches longer than the standard 2014 E-Class, all in the rear seats. This is a car to be driven in, not to drive. Just like the regular E-Class, the Mercedes-Benz E-Class L comes in E300 V6 (245 horse), E400 Hybrid (333 horse) and E260 diesel (204 horse) forms. It also gets all the same technology and the same option list. For more info, check out the MB press release below. “Auto China 2013” in Shanghai sets the stage for the world premiere of the long version of the new E-Class. Developed for the growth market in China, it offers 14 centimetres more legroom in the rear. It also sports a finely honed design exuding an overall character of poised refinement and boasts markedly enhanced comfort and a high standard of equipment and appointments. Three petrol engines covering an output range from 150 to 245 kW with automatic transmission as standard provide for dynamic performance coupled with exemplary driving comfort. With these assets, the long version of the new E-Class sets a new standard for the luxury segment. The long version of the new E-Class radiates status and effortless superiority, meeting the Chinese market’s expectations of luxury vehicles more effectively than the comfortable E-Class with standard wheelbase. Measuring 5019 millimetres in length and with a wheelbase of 3014 millimetres, the long version, which is to be built exclusively in China, is 140 millimetres longer overall than the E-Class saloon which is being marketed worldwide. This results in 14 centimetres more legroom in the rear of the five-seater. An exclusively appointed interior conjures up a prestigious and congenial atmosphere. For special convenience, the front passenger seat can also be electrically adjusted from the rear. In keeping with the entire E-Class family, intelligent modifications to the design provide the long version with a new front end as well as new proportions. 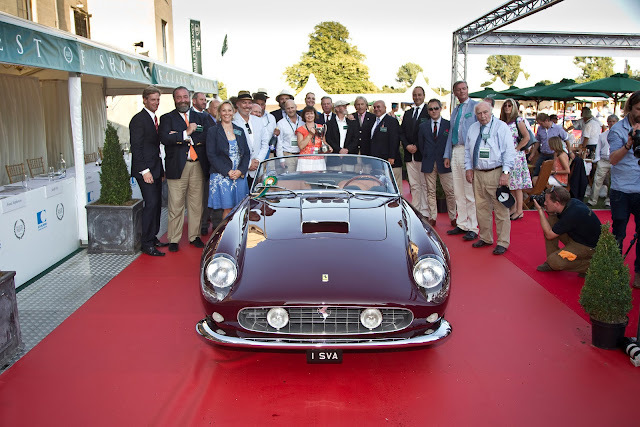 When it came to the modifications, the designers followed the new Mercedes design idiom and reinterpreted the classical design values of the brand using the existing basis. The result is a superior and refined, dynamic appearance. The headlamps have been redesigned and comprise all functional elements with a single headlamp lens. 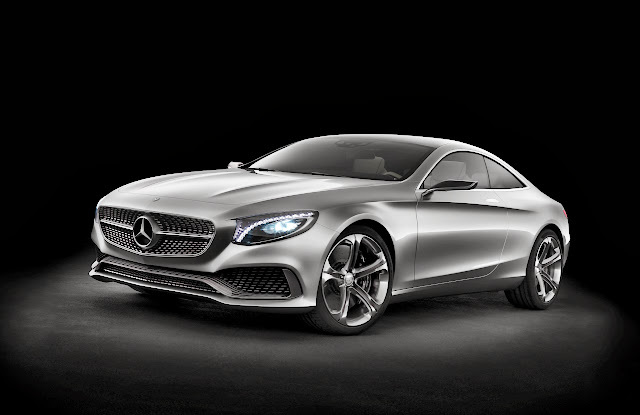 Flowing light elements within the headlamps help to ensure that the essential lines of the “four-eyed” look which is typical of the E-Class are retained. 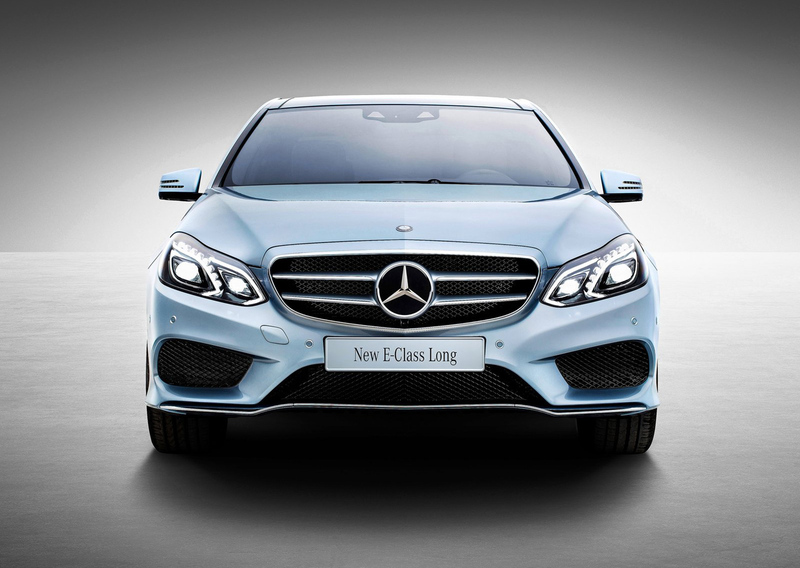 When it comes to light and visibility, the new E-Class sets standards: both the low-beam headlamps and the integrated daytime running lamps feature LED technology as standard. 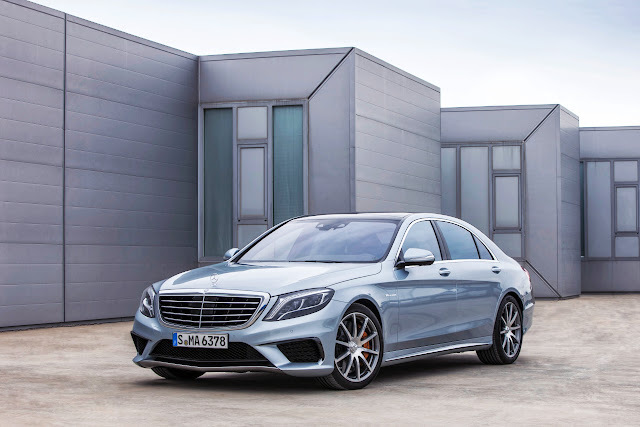 For the first time, the long-wheelbase E-Class is available with two different front ends: the Sedan features the classic, three-dimensional saloon radiator grille in three-louvre look with the Mercedes star on the bonnet. The Sport Sedan comes with the sporty front end featuring a centrally positioned star to create a distinctive, emphatically dynamic look. A new feature line and a repositioned three-dimensional trim strip give the long version of the Saloon new proportions with an exciting appearance. A new structural line runs below the feature line from the rear door through to the tail light. This lends the vehicle a longer look. It underscores the side trim, which has been shifted downwards. 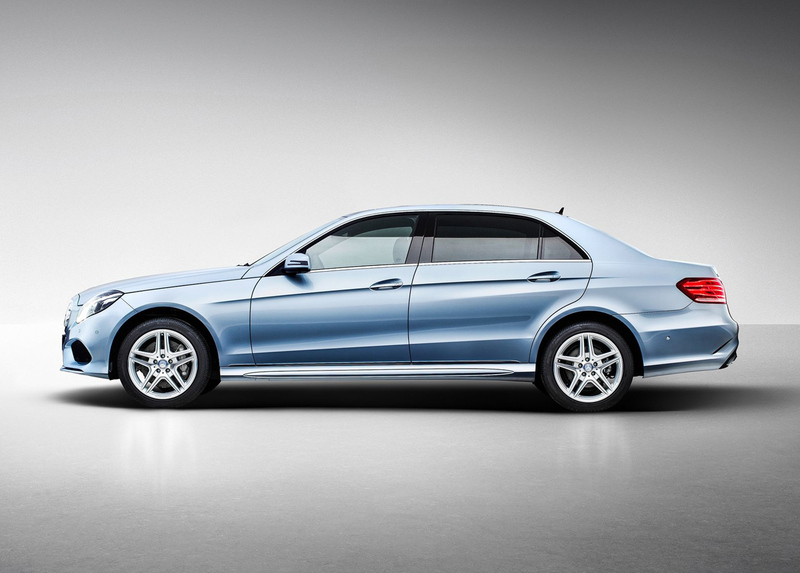 Overall the E-Class looks more elongated and elegant. At the rear, the lights and bumper have been revised. The new horizontally structured LED tail lights with new two-tone look emphasise the width and feature a characteristic night design. The interior has also been reworked and harmonised with the expressive exterior. High-quality materials and refined, subdivided areas with precise joints and sharp curves underscore the high-quality overall impression of the spacious interior. A new feature is the two-part trim which stretches across the entire dashboard. It can be selected in two different wood looks (Wood and Ash Tree Black). Also new is the design of the air vents as well as an analogue clock between the two central vents. The harmonious interior is characterised by the redesigned centre console without selector lever, as well as a new multifunction steering wheel with DIRECT SELECT lever and shift paddles. In addition to the luxurious appointments, the hallmark Mercedes safety standard also sets new benchmarks. Unique features include the PRE-SAFE ® preventive occupant protection system with belt force limiters and side airbags on all outer seats and drowsiness detection with ATTENTION ASSIST. The boot size of 540 litres is also best-in-segment. DISTRONIC PLUS with Steering Assist can help to take the burden off the driver when it comes to keeping the vehicle in its lane and is also able to follow vehicles in traffic jams semi-autonomously. For the first time, the Brake Assist system BAS PLUS with Junction Assist is able to detect crossing traffic and pedestrians too, and to boost the braking power applied by the driver accordingly. The PRE-SAFE® Brake can detect pedestrians and initiate autonomous braking to avoid a collision at speeds up to 50 km/h. PRE-SAFE® PLUS is able to detect an imminent rear-end collision. The driver of the vehicle following behind is warned by activation of the rear warning lights with increasing frequency. The PRE-SAFE® system then triggers occupant protection measures to reduce the forces to which occupants are subjected. It can also firmly apply the stationary vehicle’s brakes in the event of a rear-end collision to prevent secondary accidents. Active Lane Keeping Assist can now detect when the adjacent lane is occupied, in particular by oncoming traffic too. When there is the risk of a collision, the system can also prevent the vehicle from leaving its lane unintentionally, also in case of broken lane markings, by applying the brakes on one side. As such it makes the ideal supplement to Active Blind Spot Assist. 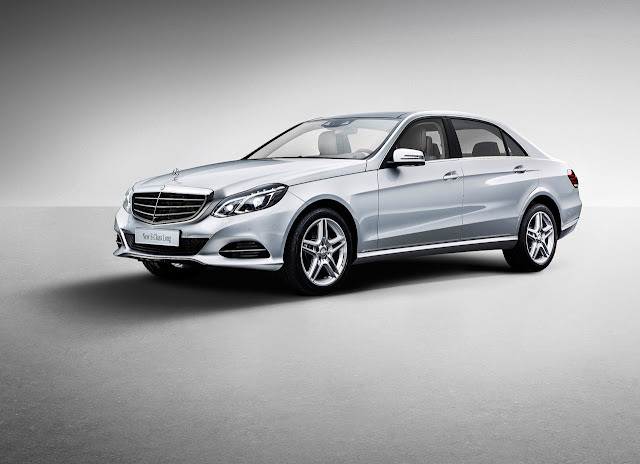 The E-Class L is being launched with a choice of three refined, high-torque petrol engines: the E 260 L BlueEFFICIENCY rated at 150 kW (204 hp) with four-cylinder direct injection and the six-cylinder models E 300 L rated at 180 kW (245 hp) and E 400 L with an output of 245 kW (333 hp). Additional engines will be available in due course – for example the E 400 L HYBRID, which is on display as a show car in Shanghai. 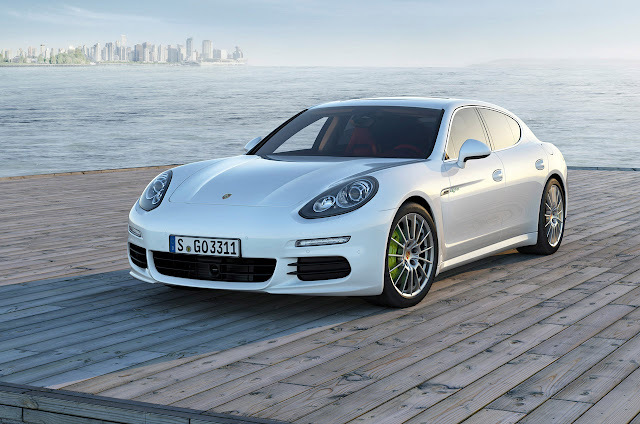 All models feature automatic transmission as standard. The transmission control system is self-learning and adapts the shift points to the driver’s individual driving profile.